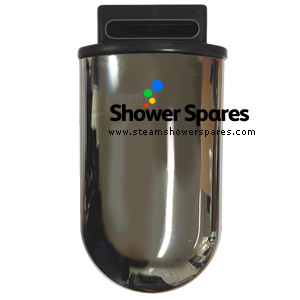 Steam pod finished in a Chromed effect with black outlet part. The top removed to reveal a basket to put items to infuse the steam with. This steam pod comes with fixing nut and is a standard 15mm thread fitting.